Sometimes in SharePoint we need to visualize hierarchical data as organizational chart. Prerequisites: not to use Flash or Silverlight technologies here. So, in our scenario for storage of organization structure will be used SharePoint List based on Custom List , for rendering engine Google Chart Tools. From Google Charts library we’ll use Organizational Chart package only. 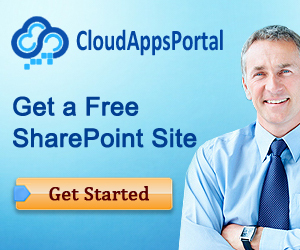 Validation of SharePoint PeopleEditor WebControl on the client-side is often required. On server side validation is supported, see AllowEmpty and ValidatorEnabled properties for details, but the lack of client side validation makes it inconvenient for scenarios where client side validation is mandatory. So let’s discuss some techniques how it could be achieved. Let’s start with the simple method that allows to check if PeopleEditor control is not empty. with ASP.NET Custom Validator as ClientValidationFunction with some modifications applied. Since jQuery is commonly used in SharePoint front-end development, it validation capabilities could be used for PeopleEditor, for example jQuery Validation plugin. The code below demonstrates how validation rule that allow us to verify if PeopleEditor value is not empty, may look like. Sometimes SharePoint PeopleEditor WebControl need to be initialized on the client side.